No mud, no messing around and no mowing the lawn. Artificial grass and turfing solutions are a dream come true for home and property owners who hate gardening. Say goodbye to garden maintenance issues, with this modern style option. 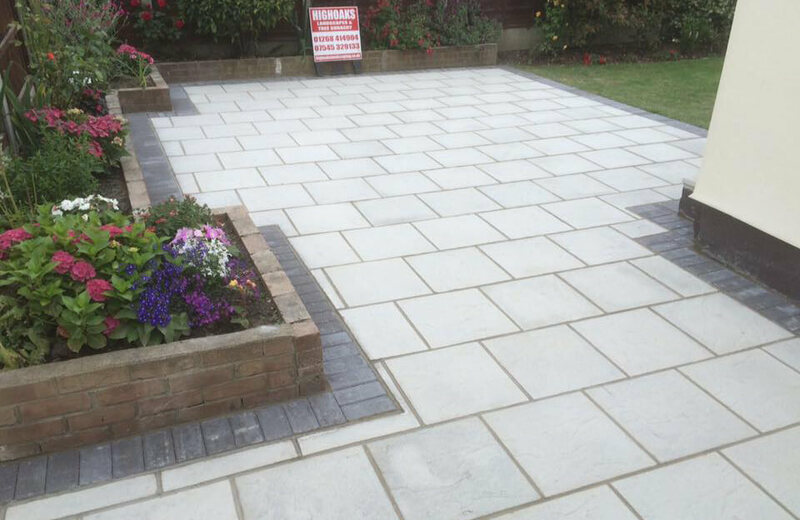 We’ll be happy to design your garden or property to fit this new feature into your home. Just imagine having grass on your property that stays green all year long. The best part is that the artificial grass and turfing we lay down looks like the real deal. Only an expert could tell the difference, and they’d have to examine it rather closely! The process of replacing your old garden with artificial grass can be difficult for amateurs, but it’s easy for us. We have a wide range of experience providing the perfect new artificial design in residential homes. We’ve even used it to make some city flats look far more welcoming, so you don’t have to worry. Artificial grass was first used in the sports industry. It was the ideal solution to prevent wear and tear from constant use of the turf. Due to this, artificial grass and turf are incredibly strong and durable. Your kids and pets can play on it as normal without you seeing any damage at all. But unlike typical grass, you won’t have to water it, cut it or do anything with it at all. Once we’ve laid it down for you, it can be left alone for years. It has become a popular choice, and all of our clients have been thrilled with the final result.